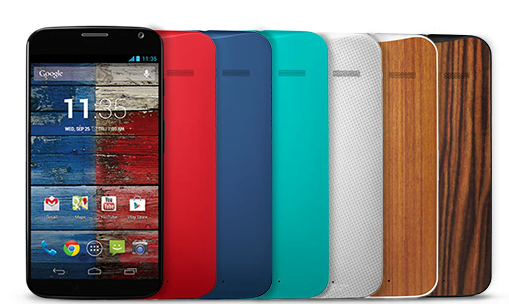 Motorola has been off to a flyer after launching the Moto G in India in its second stint in the country. The device has been getting simply amazing volumes and this has prompted the company to bring the Moto X to India as well. It will go on sale exclusively on Flipkart.com at a price of Rs 23,999 for the regular 16GB variant and Rs 25,999 for wooden back 16GB variant. Only the 16GB variant is coming to India. It will be available in 5 colour option and two wooden back colour options. Flipkart will launch the device with a slew of offers which include Rs 1000 cashback on EMI plan, 70 percent off on cases and 10 lucky customers will get the device for free. Moto X has an amazing set of specifications albeit for a sub Rs 20,000 device. At this price point, it would venture into the territory of the Nexus 4, which despite being more than an year old still has a better set of specs. And just in case you were wondering if it will get the customisations it became popular for, we are sorry to say but they are not coming to India. Let us see how the consumers take on the new device.